Marine Drive (officially, "Netaji Subhash Chandra Bose Road") is a 3km long, six lane concrete road in southern Mumbai which stretches north along the coastline, forming a natural bay. This C-shaped road links Nariman Point to Babulnath, and is situated at the foot of Malabar Hill. Known world over as Marine Drive, this tourist spot has also been called Sonapur by the locals of the city. Large crowds of people come to this place to stride along the beautiful walkway and to view the stunning sight of the setting sun at dusk. The scenic beauty of the perfectly lined palm trees offers its visitors an enthralling experience. 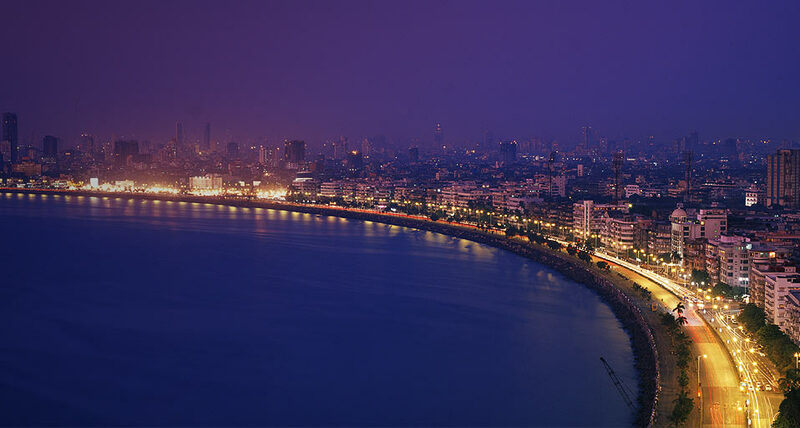 Marine Drive is also referred to as 'Queen's necklace', because the street lights make the road look like a string of pearls and create an illusion of a necklace, when viewed at night from any elevated point along the pathway of the drive. If you want to know more about this breathtaking walkway.